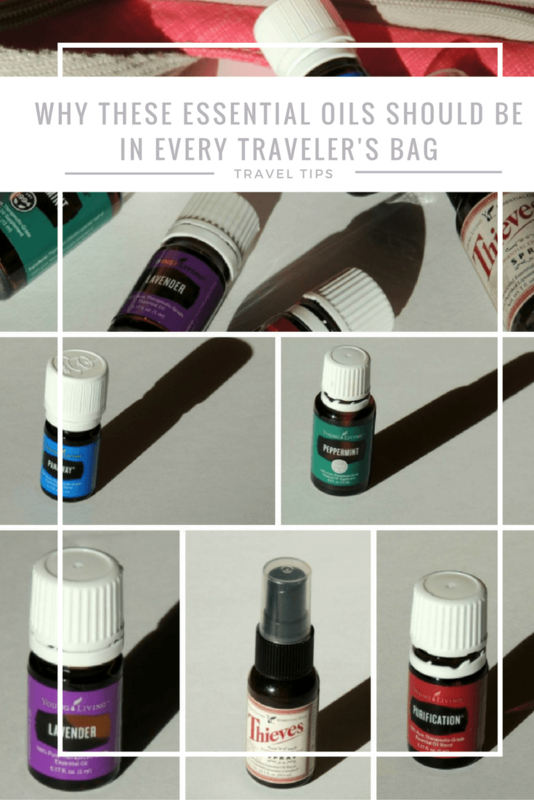 This is a guest post featuring Young Living Products for travel is written by Autumn Brown. If you would like more information about these products, you’ll find her website at the bottom of this post. I discovered essential oils when my family was preparing for a mission trip to Honduras. My daughter had been sick before our trip and three days before we were supposed to leave, she was still running a fever, despite a trip to the doctor’s office. In desperation, I appealed to my Facebook friends for a natural remedy and was introduced to essential oils. Since then, I travel with my essential oil travel case and mini-oil bottles nearly everywhere I go. And the few times I forget my Lavender and Peppermint essential oils or leave them at home, I nearly always regret my decision. 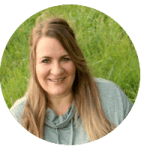 Today, I’ve asked Autumn, a friend of mine to share her favorite essential oil products for travelers because she’s much more knowledgeable about the products than I am. Read on to find out what products she says every well-equipped traveler should have on hand. Young Living is the leading Essential Oil Company in the world. Not only do they offer the highest grade of essential oils, but they also have over 300 essential-oil infused products. Their Seed-to-Seal Promise gives me confidence that these are the safest essential oils available on the market. 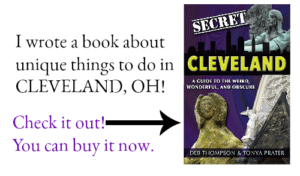 In my travels, I have found many of their products to be a necessity, but here are five that every traveler must have. This essential oil is one of my favorites. I love it when traveling because of its versatile uses. Peppermint provides energy and supports your digestive system. Put a drop of Young Living’s Peppermint Essential Oil on the end of a wooden clothespin and clip it to your car vents. The vents act as a diffuser, and your car will smell like Peppermint. Everyone in the car will receive the therapeutic advantages of this essential oil. You can also rub a little on your stomach when the driver isn’t exactly trustworthy and you begin to feel the effects of their crazy driving—- if you know what I mean! 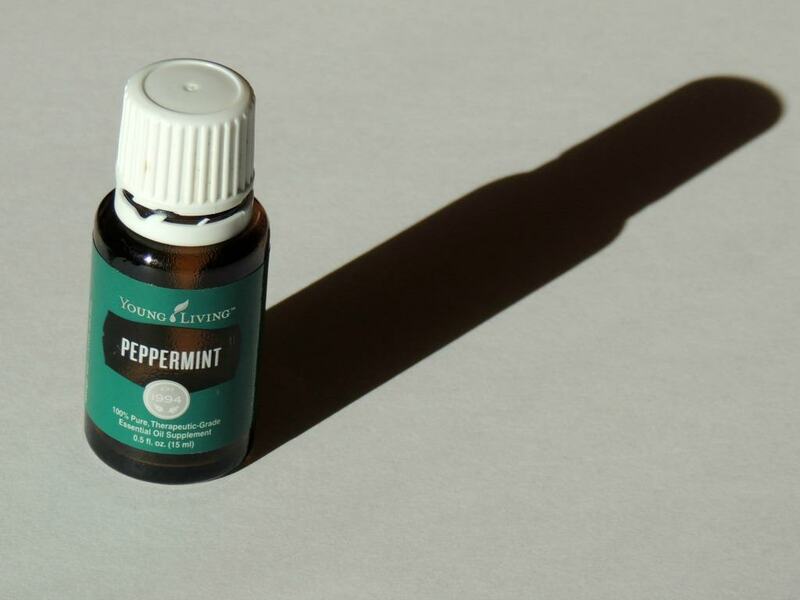 Another great thing about the Peppermint is that it comes in the Premium Starter Kit with Young Living. 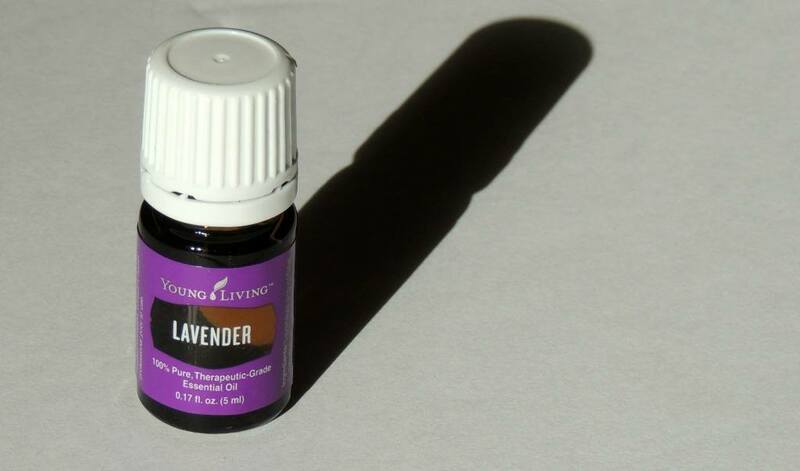 Lavender is considered to be the “Swiss-Army-Knife of Essential Oils” because it can be used for practically anything! This essential oil is very calming, which means it will come in handy when other drivers are getting on your nerves, and when it’s time to wind down and get some sleep! This oil also comes in Young Living’s Premium Starter Kit! 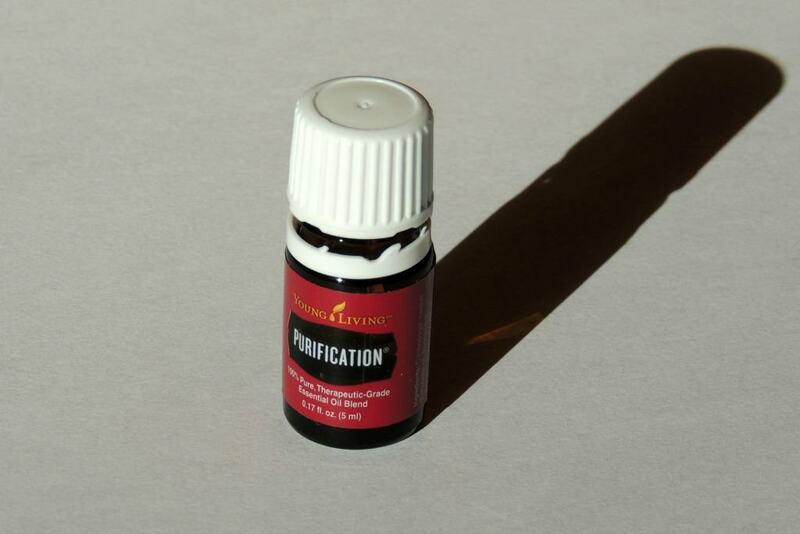 Purification is a blend of essential oils that include Citronella, Lavandin, Lemongrass, Rosemary, Myrtle, and Tea Tree. This combination is perfect for fighting odors! Put a drop in your shoes after a long, sweaty day. Put a drop on the end of a wooden clothespin and clip to your car vents to rid of any horrifying smells that have collected through the day. You can also put a drop on a cotton ball and throw it in whatever piece of luggage is carrying your dirty laundry. And heaven forbids you’re on a plane and get stuck near the bathrooms– or someone who smells like one! Put a drop on your sleeve or a leather bracelet and just keep on sniffin’ until the end of your flight. Once again, this amazingly powerful blend is available in Young Living’s Premium Starter Kit! 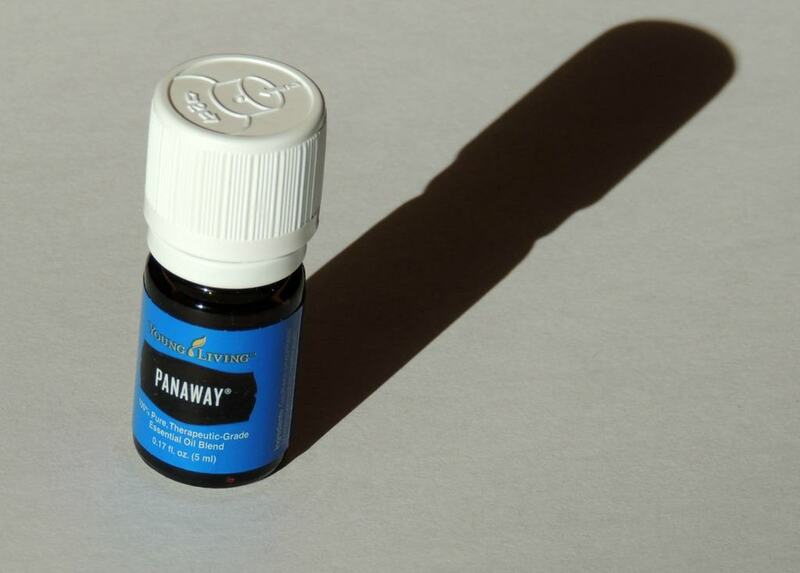 PanAway is a blend of oils that include Wintergreen, Clove, and Peppermint. This little bottle of oil will become your best friend after being cramped in a car or plane for hours on end. It is wonderful for any muscular discomforts that you may experience when traveling, or after sleeping in an unfamiliar and uncomfortable hotel bed. This blend also comes in Young Living’s Premium Starter Kit! Thieves Spray is a must have for any germaphobe, and they should have it with them at all times to avoid any panic attacks. I have used this on anything that grossed me out from sticky restaurant tables to nasty toilet seats. I sprayed this on a porta pot seat once, and the bugs literally swarmed out… ewww. This powerful little spray bottle will disinfect the most disgusting things there are. I even spray it on my hands as a purifier instead of using hand sanitizers that are full of harsh toxins and chemicals. What I love most about Thieves Spray is that it is full of natural-derived and plant-based ingredients that are completely safe. In fact, I can spray it in my mouth! It is formulated using the Young Living Essential Oil called Thieves, which is a blend of powerful, immune-boosting and disinfecting essential oils that include Cinnamon, Clove, Lemon, and Peppermint. Young Living has an entire cleaning product line based off of this one essential oil. 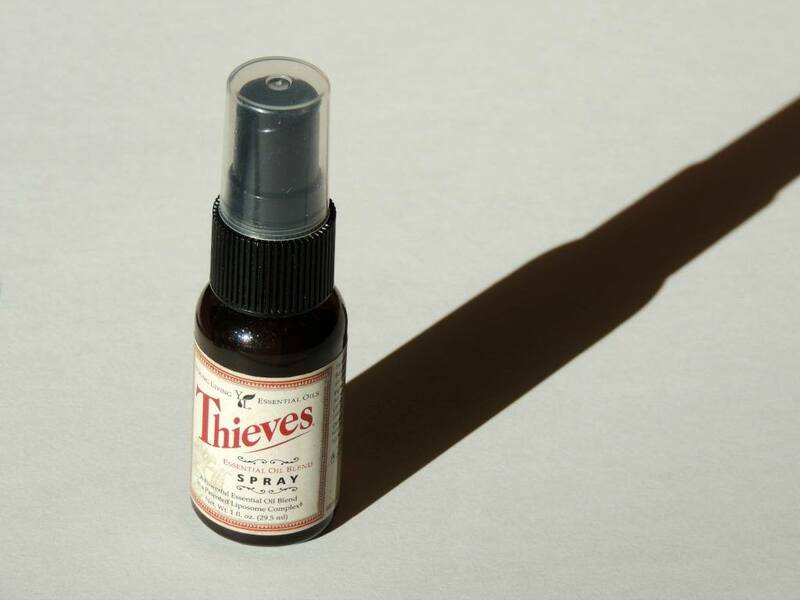 The Thieves Spray, however, is the perfect size to carry in your purse or luggage. Spray your hotel bathroom counter, phone, alarm, light switches, lamps, and bed sheets before you settle in for the night to help keep things a little more clean and safe! 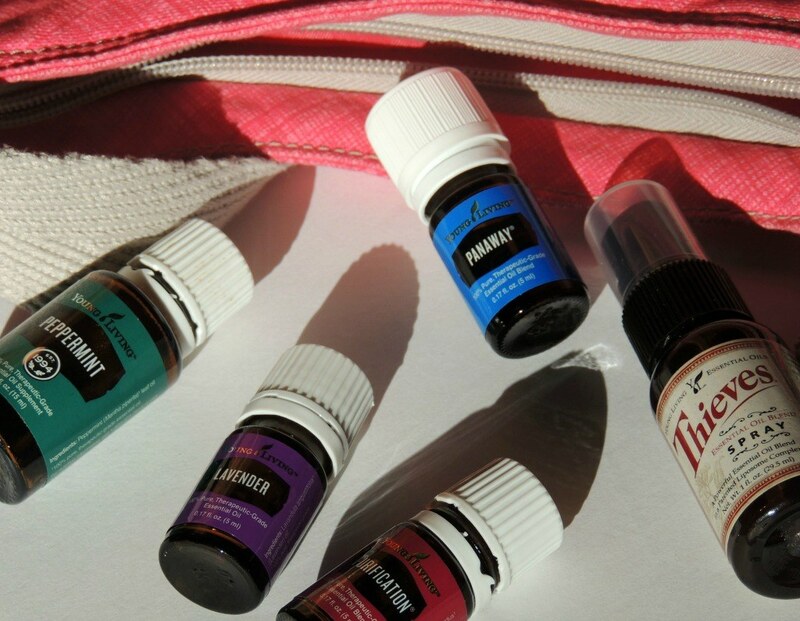 So there you have it– my top five Young Living products for traveling. These are easy to carry on any trip, just make sure you put them in a plastic baggie when flying. I, myself, am a Young Living addict, and I carry anything I can fit in my luggage when traveling, but these are my top picks that I would recommend to you. Check out my website, theautumneffect.com/essentialoils for more details, and how to get your own Premium Starter Kit!